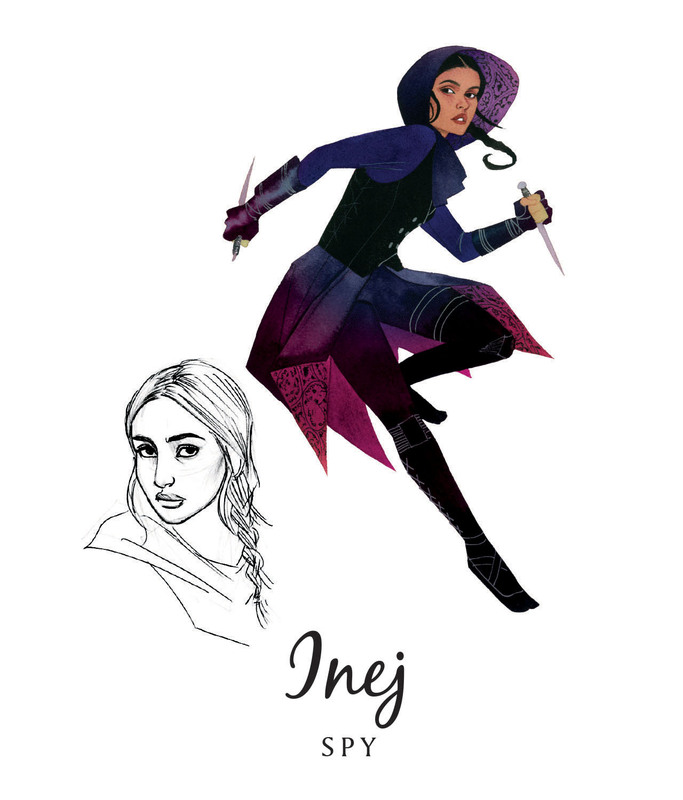 Inej is a spy and a member of the Dregs – a street gang led by Kaz Brekker. Inej often acts as his confidant and is like his second when it comes to their small group of criminals who are tacking on the impossible heist. Inej has had a tough life, she grew up in a family of acrobats but was captured by slavers when she was fifteen and sold to an owner of a pleasure house. Because of her past she’s quite closed-off and doesn’t really open up to people, she’s quiet and uses that to her advantage, because she’s so quiet and unassuming people don’t notice her as she either studies them to learn their secrets or to kill them. That the thing with Inej, she’s a spy and a thief who uses her acrobatic skills to do bad things which includes sometimes killing people but she’s still a good person who wants to just be free to live her life how she wants to. She’s loyal and brave and a total badass. She’s my favourite character in Six of Crows and I can’t wait to see what scrapes she gets into in the sequel, I definitely hope she gets her happy ending. wanna see my pic of me and Leigh Bardugo??? Six of Crows keeps eluding me- the couple times I’ve managed to get the book or audiobook in my hands I’ve been in the middle of other things and unable to read it, and then I have to return it because someone is waiting for it at the library. SOON, though, I will hopefully be on the bandwagon because it sounds like a FUN one!